I’m challenging myself in 2019 to do more with the supplies I have and one way I can do this is to show multiple cards that are created with essentially the same products and supplies. That said, I’m really happy with the results. 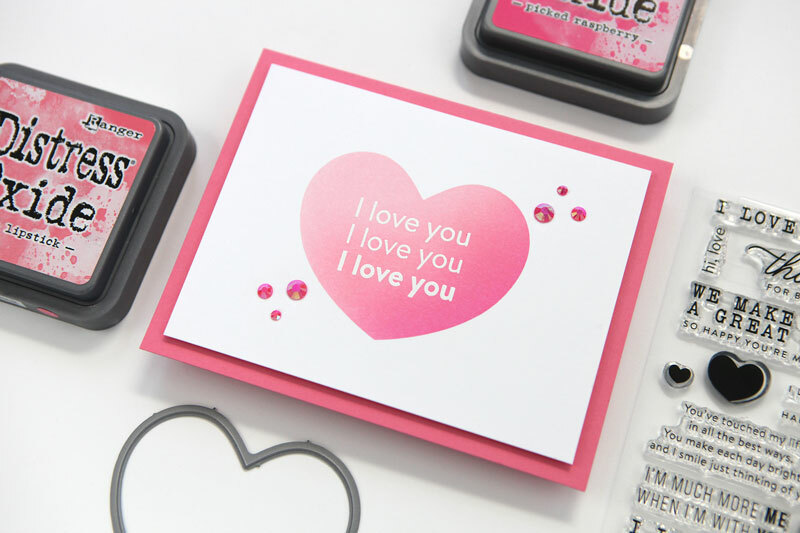 Both cards feature the brand new Love Messages stamp set, an eclectic set of messages featuring different typographic treatments. 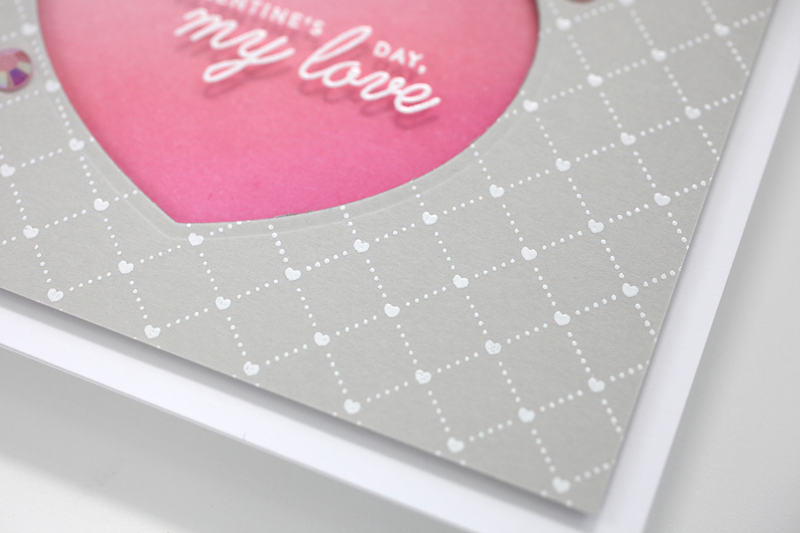 This card features a bit of simple ink blending and I used the same inks for both projects. 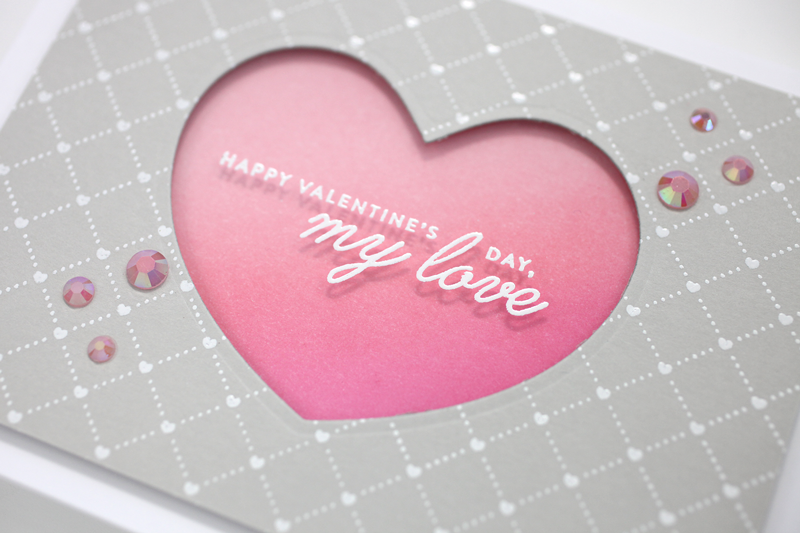 I only used one more product for card two, the Quilted Hearts Background Cling stamp. 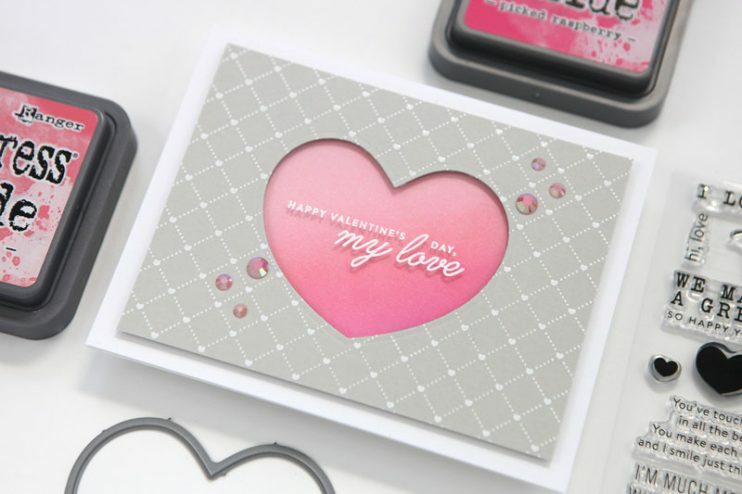 I seriously love this background stamp! How cute are the tiny hearts? The Stepped Up card also features some stamping and embossing on Heat Resistant Acetate, something I’ve been wanting to try, but usually mess up. Not today! Oh yeah, what is the saying? Nailed it. Here is my video showing you how I created both cards! Powder the crap out of it made me laugh!! Cute card! It is truly the only way! lol! YOU USED THE GRAND EZ RUNNER THAT I RECENTLY PURCHASED. IT WORKED GREAT FOR 2 CARD THEN KEPT GETTING STUCK. WHAT AM I DOING WRONG? Sometimes, I have issues with it rolling and not putting tape down. I don’t use it directly on fun foam though, because it’s hard to get it to catch on the foam, if that makes sense. But for paper, it has been a good one. You may have a bad roll, possibly? I always press and hold in place for a second before rolling. That gives the tape a second to transfer to the paper and hold. Let me know if that helps! I didn’t realize acetate could be heat embossed. I’ll have to pick up some of that heat resistant acetate from your supplies list. And some of those glue holders! I find myself propping my glue bottles with whatever I can find on my worktable and they usually fall over. Yes, I didn’t either until I watched a video by Kristina Werner! Those jewels… “pick it… da… di.. there ya go”! Oh my gosh you make us laugh! Love you, Cathy! Keep those videos coming. 🙂 Terrific cards, btw! Ha! yes, i decided to keep that in because i have the WORST time with that jewel picker!